North Carolina's state dog, the Plott Hound, was named after the family of (Johannes) George Plott, who emigrated from Callbach, Kingdom of Bavaria Palatinate (Pfalz), Bad Kreuznach district in Rhineland-Palatinate, Germany as a child, about five to six years old, with his parents on the Ship Marlborough arriving on September 23, 1741 in Philadelphia, Pennsylvania. “Father and mother had come as children from Germany, had married in Philadelphia, were to Reading, or as the Germans say, pulled Redingen in Pennsylvania, and then before the Revolutionary War with many other Germans moved to North Carolina”. ​George Plott was born in Germany, most likely in the area of Callbach, Kingdom of Bavaria Palatinate (Pfalz), Bad Kreuznach district in Rhineland-Palatinate, Germany. In 1741, he came to America as a "kinder" (German word for child). He was about five to six years old. In the Philadelphia area, George was listed with his brothers Frederick, Jacob and Adam as paying appropriate taxables for the time. His sister, Margaret, was listed as marrying John Hans Ulrich Frownfelter. His siblings took on the American surname spelling of Blatt or Blott. While in the Philadelphia area, George married Margaret with a maiden name most likely Wagner, as explained by their grandson, Elias Wagner Plott. Read along through these web pages to learn more about (Johannes) George Plott, his wife Margaret Wagner, their four daughters - Mary, Sophia, Elizabeth, & Catherine, and five sons - John, Henry, Elias, Isaac & Daniel. “With modern technology abilities to upload digital scans of archives, with dedicated efforts of various genealogy society volunteers, who catalog and transcribe documents, and with mutual cooperation, we are finding the hidden treasures of our full Plott heritage. We are excited and thrilled with each new discovery to the benefit of facts that confirm and build upon our Plott portfolio.” The reality is that more and more documents are being digitized all over the world and becoming available for genealogists to find our ancestors trails. Access to documentation is happening and will happen. It cannot be stopped. Do not construe, redefine, debate or interpret this report any differently than what is written. Please be sure to credit Cynthia Plott-Duke and Leora Loesch-Plott for information found within these pages. 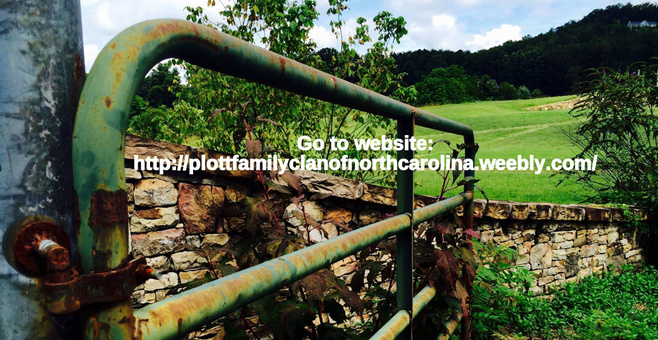 If you are a descendant of George and Margaret Plott's family, you are welcome to join the Plott Family History Facebook group. You need to be a member of Facebook, which is FREE. Press link below.